Laden with 400,000 barrels of Venezuelan oil, the Icaro sits in the azure waters of the Caribbean just off the Dutch island of Curacao. It’s been there more than a month, and it’s not going anywhere until state-owned oil company PDVSA pays its bills. The Icaro has become an unlikely but telling symbol of Venezuela’s woes. And it shows how even before the U.S. sanctions imposed Monday, PDVSA was facing trouble getting its oil delivered to customers around the globe. That could worsen as the regime looks to offset the loss of its U.S. market. The obstacle isn’t the Trump administration, but some PDVSA’s suppliers — from tow-boat operators to ship owners that transport oil. They’ve grown increasingly frustrated at not getting paid for their services. So they’re turning to Caribbean courts to get the right to seize Venezuelan oil aboard vessels like the Icaro, until some kind of settlement is reached. “Many of PDVSA’s creditors ran out of patience and were looking to secure their positions,” said Jan A.M. Burgers, a Curacao-based lawyer who specializes in maritime law. “There’s no more logical or better way to do it” than to seize cargoes. At least four companies have used the tactic since U.S. oil company ConocoPhillips successfully arm-wrestled PDVSA, or Petroleos de Venezuela S.A., in Dutch Caribbean courts last year as part of a global legal war to recoup a $2 billion arbitration award. Conoco obtained court orders to detain an armada of 12 Venezuelan oil tankers transiting the Caribbean, while filing legal papers in courts from New York to Hong Kong. Trump’s sanctions amounted to the latest U.S. move to pressure Venezuela President Nicolas Maduro to accept a peaceful transfer of power to Juan Guaido, whom the U.S. recognizes as the nation’s interim president. Trump’s action will effectively block PDVSA from exporting crude to the U.S. Venezuela was once Latin America’s largest oil producer. Now it’s pumping less than North Dakota, yet oil exports remain its main source of dollar revenues. 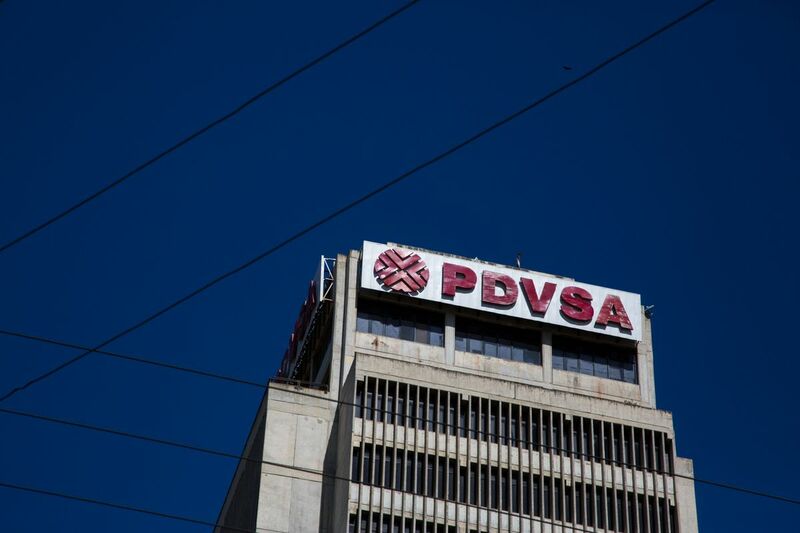 PDVSA has taken steps to avoid the seizures, mainly by trying to avoid the Caribbean islands. Last year, in the wake of the Conoco spat, only 17 PDVSA vessels discharged in Curacao, compared with 132 in 2017, according to data compiled by Bloomberg. But if Venezuela wants to sell more oil to Asia because of the U.S. sanctions, it may need its facility in the Caribbean for storage — exposing it to more seizures. For suppliers, seeking court redress isn’t likely to go away anytime soon because some can’t afford to wait for a regime change, said Kurt Barrow, a vice president at IHS Markit. Indeed, suppliers even track PDVSA oil cargoes every two to three weeks to see how close they get to Caribbean territory, said one creditor who spoke on the condition of anonymity. The 800-foot Icaro was supposed to have discharged its crude and return to Venezuela but suppliers got a court order putting a lien on the oil. Two creditors went after the cargo. Exotic Waves Marine SA claims debts of $7.3 million over unpaid fuel, while Ammon Shipping Co. claims $1 million. It remains docked at berth No. 5. In another case, Energy Coal Spa from Genoa, Italy, was able to detain the ship Pericles for 208 days over a dispute involving the purchase of petroleum coke from PDVSA. A Curacao court issued a judgment in its favor and was set to sell the oil on board to pay the debt when PDVSA settled the case out of court. The legal strategy carries risks, of course. ConocoPhillips angered many by effectively shutting down a huge portion of Curacao’s economy when it won its orders. And not every court action is successful. In July, Huntington Ingalls Inc., based in Newport News, Va., lost an attempt to put a lien on PDVSA oil stored in Curacao. The company claimed it was owed $130 million from maintenance of two Venezuelan Navy frigates. Companies going to court also run the risk of ruining their relationships with PDVSA, Burgers said. “It’s really a last resort because this is still a big company with lots of oil,” he said. For the hundreds of Venezuelans working on seized vessels, there’s not much to be done other than wait. But at least they have a roof over their heads and no food shortages, said an Icaro crew member, who spoke in the condition of anonymity. For Christmas, the workers had potato salad, sausage-stuffed bread and roasted beef, more than many Venezuelans who face empty shelves in supermarkets can say.